Avoid drinking too many caffeine-containing drinks, such as coffee or tea, when taking this medication. Immediate medical management is required in the event of overdose for the risk of liver failure, even if symptoms of overdose are not present. 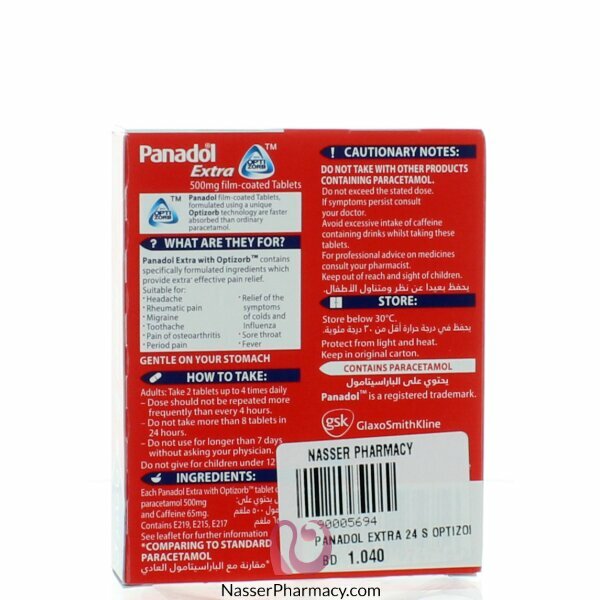 In massive over dosage exceeding 10g of paracetamol may cause liver failure. Early symptoms may include pallor, nausea, vomiting, (diaphoresis) and general malaise. Clinical and laboratory evidence of liver damage may not be apparent until 48 to 72 hours past ingestion. Overdose should be promptly treated by gastric lavage followed by intravenous N- acetylcysteine or methionine without waiting for the results of plasma paracetamol levels. General supportive measures must be available. Additional antidote therapy is normally considered in light of further plasma paracetamol levels and the time elapsed since ingestion. Overdose of caffeine may result in epigastric pain,vomiting, diuresis, tachycardia or cardiac arrhythmia,CNS stimulation (insomnia, restlessness, excitement,agitation, jitteriness, tremors and convulsions). It must be noted that for clinically significant symptoms of caffeine overdose to occur with this product, the amount ingested would be associated with serious paracetamol-related liver toxicity. There is no specific antidote is available, but supportive measures such may be used. Prolonged daily use of paracetamol with anticoagulants and other coumarins used to thin the blood may increase the risk of bleeding; consult your doctor before taking these medicines together. Occasional doses of paracetamol have no significant effect. 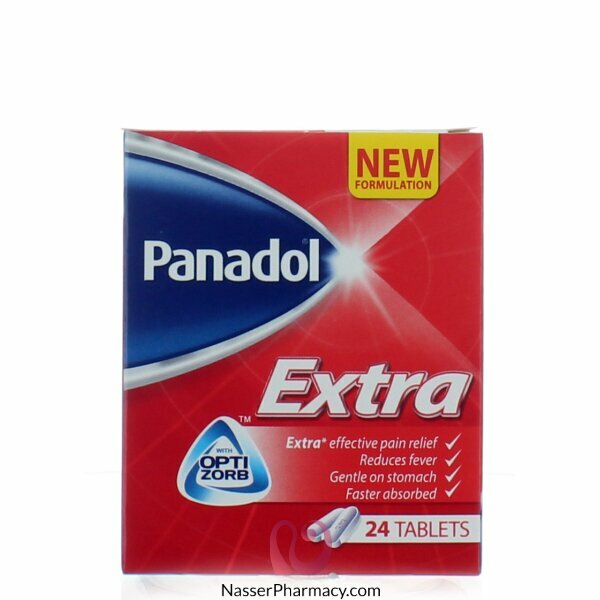 The liver toxic effect of Panadol Extra may be increased by the use of alcohol. 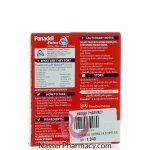 Panadol Extra is not recommended for use during pregnancy due to the possible increased risk of spontaneous abortion associated with caffeine consumption. This product should not be used while breast-feeding without medical advice. Caffeine in the breast milk may potentially have a stimulating effect on breast-fed infants but significant toxicity has not been observed.